"Pay to Benjamin Franklin, for Printing"
We all know Benjamin Franklin, Philadelphia's everyman. Poor Richard. Diplomat of the Revolution. Inventor of the Glass Harmonica. Postmaster General. Guy Who Flew A Kite in a Thunderstorm. Founder of the University of Pennsylvania, and the Library Company, and Pennsylvania Hospital... And the famous author (and printer) of The Way to Wealth. 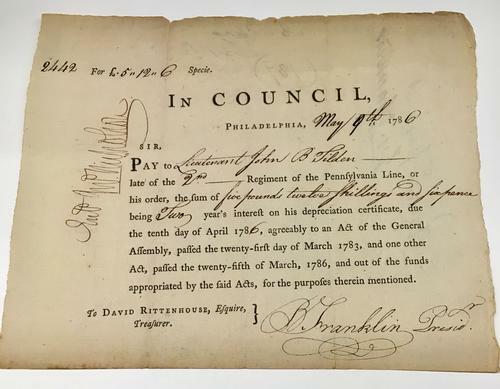 While the Free Library of Philadelphia is seemingly one of the few Philadelphia institutions without Franklin's mark (we were chartered in 1891, long after Franklin's time), his own way to wealth is book-dependent: Franklin made his first fortune as a printer. Franklin was apprenticed to his brother James, a printer in Boston, when he was 12 but founded his first printing office here in Philadelphia in 1728. There were other printers in Philadelphia at the time, but Franklin and his partner quickly succeeded in self-promotion. By 1730, the printing house of Franklin and Meredith was named the official public printer of Pennsylvania. As the public printer, Franklin was licensed to print money—literally. He was also responsible for printing the proceedings and acts of the colonial government and made increasingly grander profits each year. In 1836, his first political appointment, Clerk of the Assembly, provided an inside line on live news, which certainly improved the odds for his seven-year-old newspaper, The Pennsylvania Gazette. While not the first newspaper in Philadelphia, it quickly became the most successful in all the colonies, in part because of the letters the newspaper published by its readers. Of course, those "readers" writing in were nearly all Franklin in pseudonym. A man of many pseudonyms, his most famous (and most successful) was Richard Saunders, of Poor Richard's Almanack. Franklin first published the almanac in 1732, although almost no copies of the 1733 almanac survive. Like today's enduring Old Farmer's Almanac, Poor Richard's included weather forecasts, astronomical charts, tide tables, holidays, and odd facts of history. Some of Franklin's enduring aphorisms had their print debuts in Poor Richard's, although he also frequently cribbed the sayings from earlier sources. They proved popular enough that he collected an assortment of the almanac's sayings and proverbs and published it as The Way to Wealth, this time in the voice of "Father Abraham." ("Early to bed, and early to rise, makes a man healthy, wealthy, and wise") Poor Richard's was printed annually until 1758, and Franklin published other almanacs as well, along with sermons, public documents, advertisements, children's books, histories, and anything else that he could sell. The earliest Benjamin Franklin-related printing here in the Rare Book Department is a 1719 Boston edition of Hodder's Arithmetick. 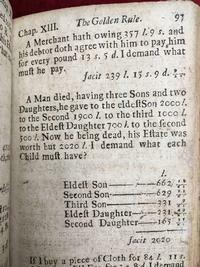 It is the first book of arithmetic published in the American colonies, printed by Franklin's brother James during Benjamin's short-lived apprenticeship. 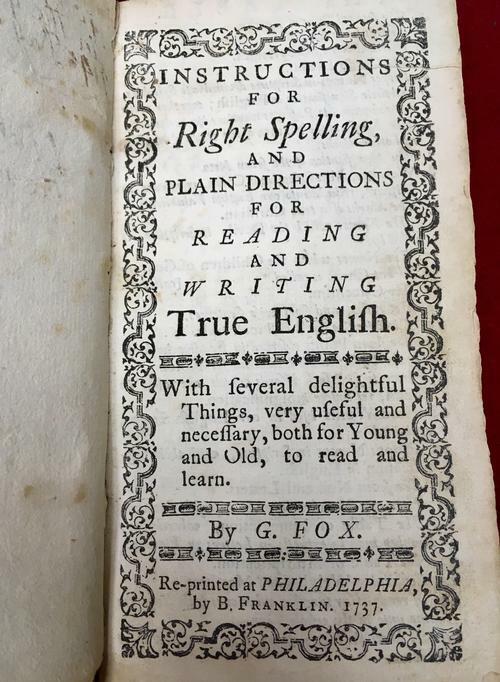 The first work we own from Franklin's Philadelphia printing-house is also for children: a 1725 reprinting of the English Dissenter and founder of Quakerism George Fox's spelling manual. Both early American children's books were donated by Philadelphia book dealer A.S.W. Rosenbach (you might recognize his name from the Rosenbach Museum), but Franklin also pops up in several other Rare Book Department collections. A signed note in our collection of historical manuscripts was given by Kathleen Montgomery, the widow of Board of Trustees President James A. Montgomery, Jr. (ever been to an Author Event in the Montgomery Auditorium?) and his printings are sprinkled throughout our collection of Americana (primarily thanks to William McIntire Elkins, whose own library lives on in the Rare Book Department). He may not have lived to see the Free Library of Philadelphia, but he lives on within it. Over the next few weeks, the staff of the Special Collections Division of the Free Library of Philadelphia will be writing about items from their collection that relate in some way to Philadelphia. The Special Collections Division includes the Automobile Reference Collection, the Children’s Literature Research Collection, the Edwin A. Fleisher Collection of Orchestral Music, the Maps Collection, the Print and Picture Collection, the Rare Book Department, and the Theatre Collection. These collections are here to inspire you; if you’re interested in learning more, please feel free to contact us for more information. You can also visit our Digital Collections, which are home to over 40,000 digitized items from our collections. 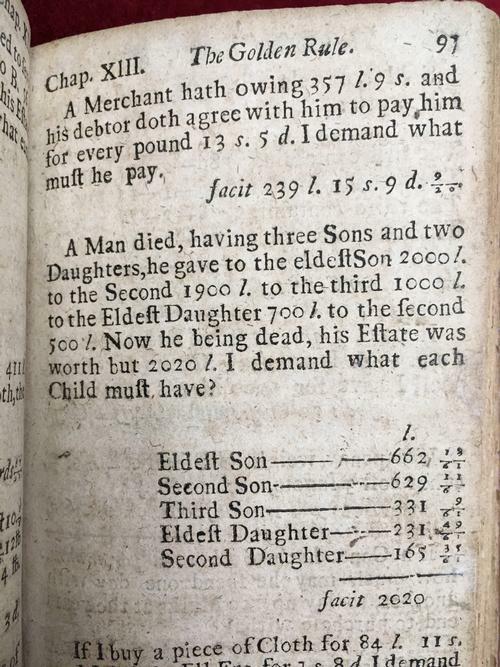 Hodder's Arithmetic, printed by Benjamin Franklin's brother James in Boston in 1719, during Franklin's apprenticeship. The print work is not of high quality. 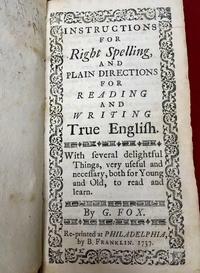 The title page of Benjamin Franklin's 1737 printing of George Fox's spelling manual. Franklin took great pride in the quality of his printing. 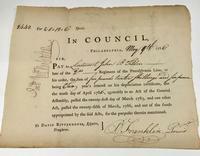 1786 document signed by Benjamin Franklin as President of the "Supreme Executive Council of the Commonwealth of Pennsylvania." Add a Comment to "Pay to Benjamin Franklin, for Printing"